At the center of Kokkari, there is the parish church of the village, dedicated to Saint Nicolas, the protector of sailors, celebrating on December 6th. 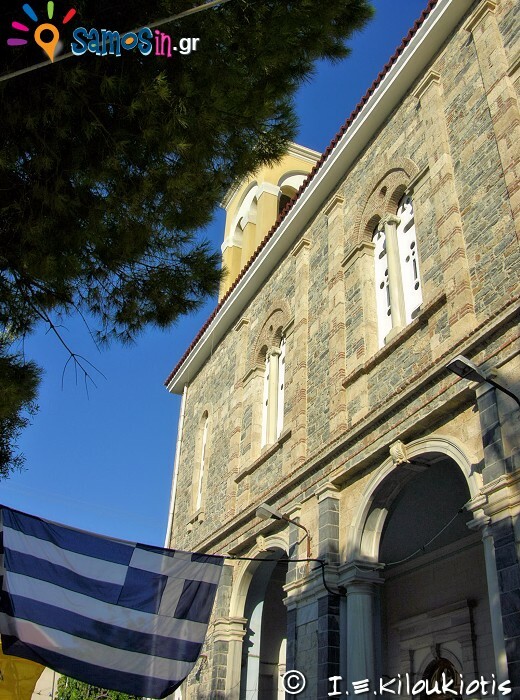 The history of the temple begins on May 31, 1902, whereby the decision of the Samian hegemonic parliament gives the permission to issue a lottery, to finance the construction of the Agios Nikolaos church, after a great effort by then Mayor of Kokkari Fotis Garoufalis and when ruler of Samos was Alexandros Mavrogenous. 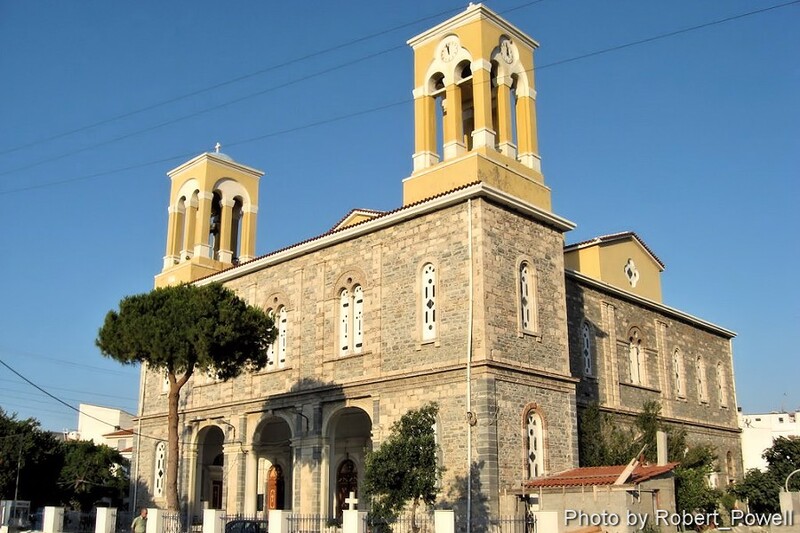 After a few months, on 18 September 1902, the church was founded by Metropolitan of Samos Athanasios Kapouralis. 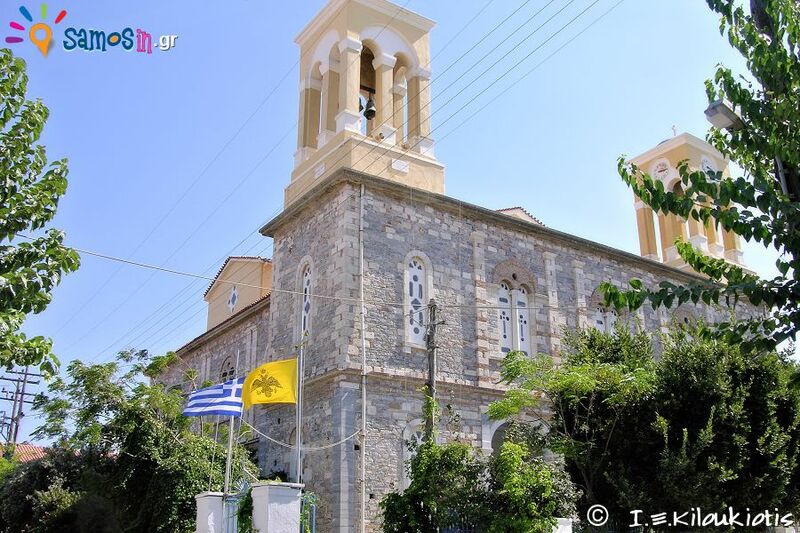 The design and supervision of the erection of the church was undertaken by the experienced architect Angelos Angelidis, who had also built the churches Assumption of the Virgin Mary and Agios Nikolaos in Karlovasi and Saint Spyridon in the city of Samos. 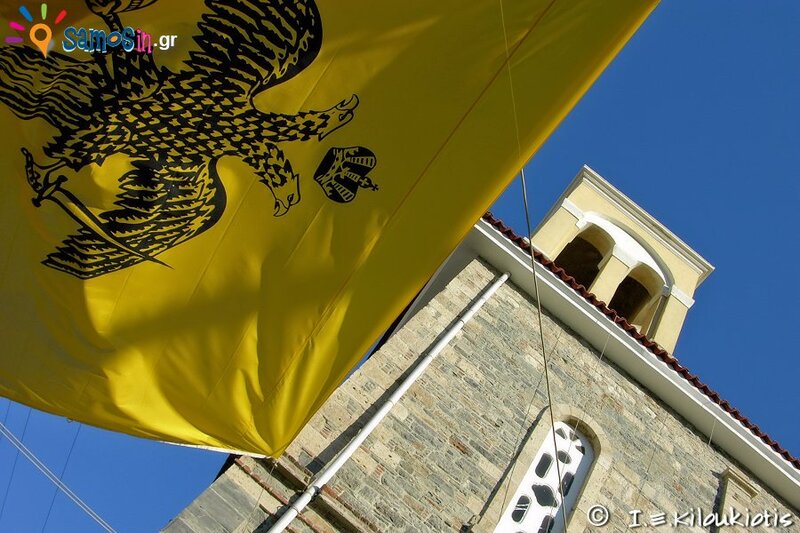 In 1908 the then ruler of Samos Andreas Kopasis, after persuaded by the political opponents of Kokkari mayor Foti Garoufali, suspended the license of the lottery, thus stopping the financing and of course the construction work. 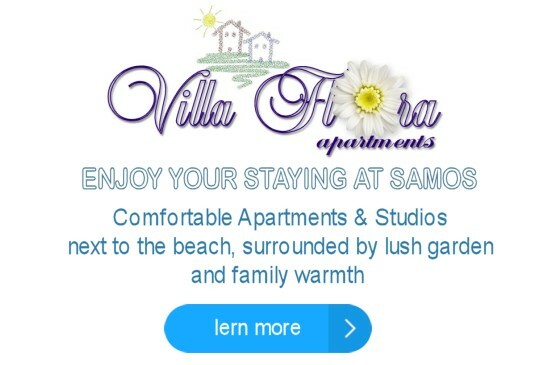 The overthrow of the hegemony and the union of Samos with Greece in 1912, created major upheavals in the administration and economy of the island, resulting in a degradation of the project and the stagnation of the construction work for 25 years. In 1933, the affluent Ioannis Elisabetis from Kokkari village, assumed the cost of completing the church, with the help of village residents, who offered volunteered to work, while the supervision of the work was undertaken by the engineer P. Hatzikonstantis, since the architect Angelos Angelidis had already died. In 1938 the church was completed, but the events of the Second World War delayed again the interior decoration of the church, to become functional. At December 8, 1963, 61 years after foundation, the inauguration of the church was carried out by the Metropolitan Epiphanios and the first priest of the church, Georgios Potsafas. The architectural rhythm of the church is three-aisled basilica with dome, it is the largest temple of Samos and is one of the largest in the Aegean, with dimensions 41.5 m long and 17 m wide. 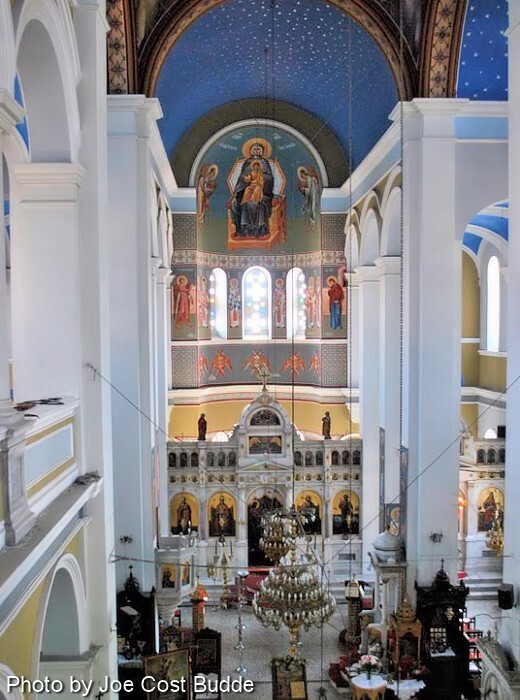 The interior of the church is richly decorated with a white marble, well-worked Iconostasis, which was, the central aisle of the church, created by the marble-artist Nikolaos Perakis from Tinos in 1938, while the marble Iconostasis of the two endways aisles, were designed by Nikolaos Perakis and created by the marble-craftsman Ioannis Philippotis, from Tinos also (Tinos was famous for marble craftsmanship). The portable icons of the Iconostasis date from 1937 to 1939 by hagiographer Ioanni Sitara. In 1955, was created the elaborate marble despotic throne, by the marble-artist Κonstantinο Perakis, while in 1975 the marble holy pulpit was placed. 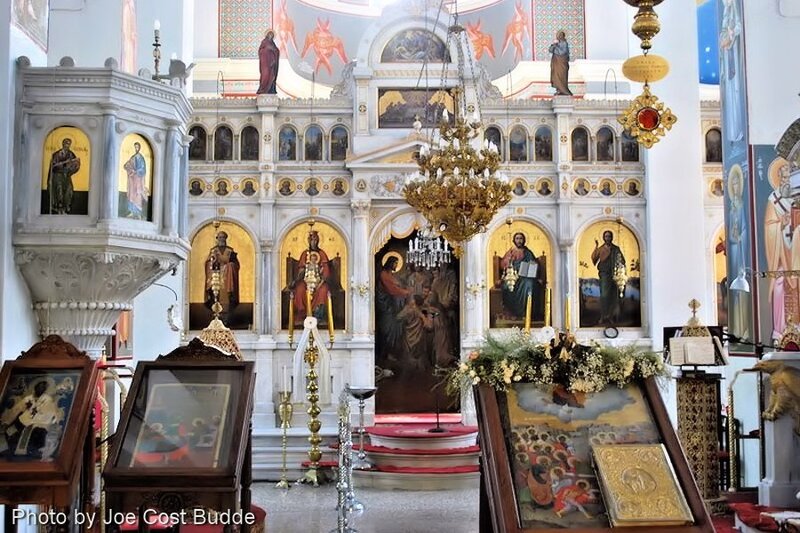 The collection of portable icons of the church is rich and dates back to 1846 to 1853, such as the silver coated icon of Assumption of Virgin Mary (1846), Saint Eleftherios (1852), Saints Anargyron Kosmas & Damianos (1892), Saint Nikolaos 1853), the Birth of Virgin Mary (1861), the Genesis of Ioannis Prodromos, Jesus Christ, Virgin Mary Eleoussis, Saint Theodoros, Saint Charalambos and the excellent portable, Russian style icon of Christ Birth. 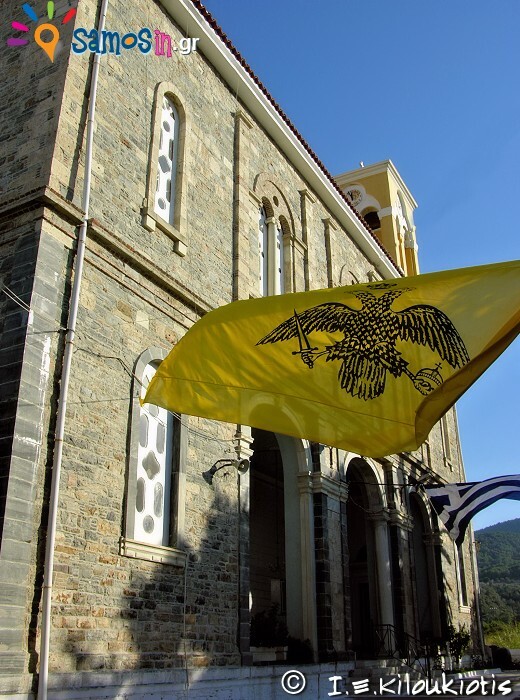 The portable icon of saint Nikolas, which is the epicenter of the temple, is created at 1909 by the famous hagiography house of the “Daniileon Brotherhood in Katounakia, Mount Athos” and donated by George Papadiamantis. The ordering of the icon had taken place during the first period of erection of the church (1902-1908), but when icon was completed in 1909, the construction works of the church had been stopped due to the suspension of the lottery by Andreas Kopassis, and there was no money to pay the icon and wealthy residents refused to pay for it. According to folk tradition, wealthy doctor George Papadiamantis had said that “the one who ordered the icon, he would have to pay for it”, but the same night he saw in his sleep a snake that had encircle him, tightened on the throat and was ready to drown him. 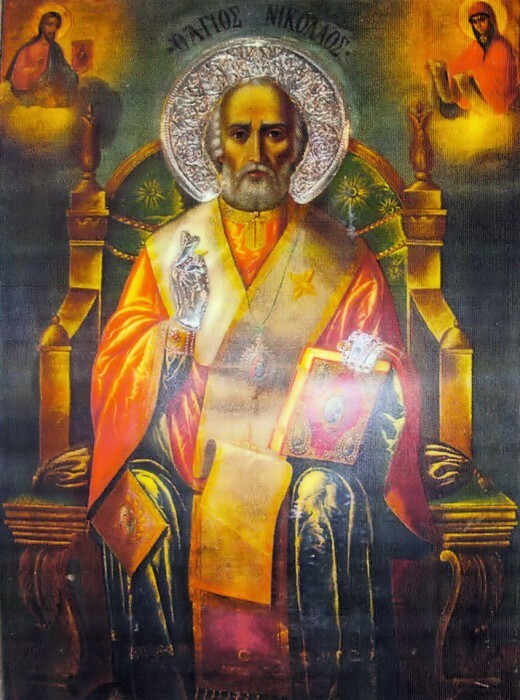 Waking up upset, from his ugly dream and searching for the priest of the church Georgios Potsaffapas, recounts for his dream and immediately paid all the money for the icon of saint Nikolas. 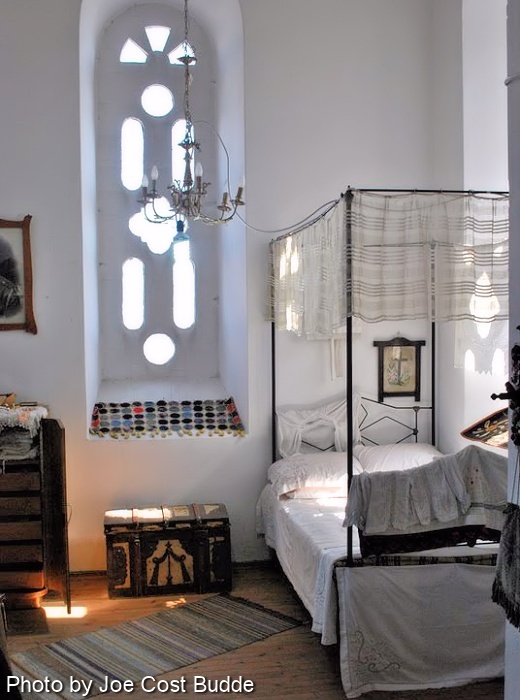 Since the summer of 2011, there is an ecclesiastical and folklore museum at the first floor of the church, in which have been gathered and exhibited, valuable precious religious relics, as well traditional objects and tools that highlight the popular culture and the long tradition of Samos. The church located at the center Kokkari village. Access is very easy, as it is next to the Village Parking, Taxi & Bus Station.